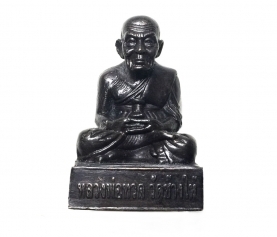 The Thai term Phra Putta Jao means ‘Buddha’. 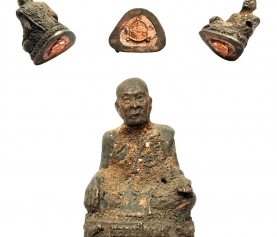 It is equivalent to sambuddhassa in Pāḷi; i.e., the ‘Fully Awakened One’. According to Theravāda Buddhist beliefs, the historical Śakyamuni Buddha – Siddhāttha Gotama – is the fourth Buddha of the present aeon (Sanskrit/Pāḷi: kalpa). In the Khuddaka Nikāya of the Sutta Piṭaka there is an ancient Buddhist canonical text called the ‘Buddhavaṃsa’, which names Kakusandha, Koṇāgamana, and Kassapa as Gotama’s predecessors. In due time Gotama will be superseded by Maitreya, the fifth and last Buddha of this age. 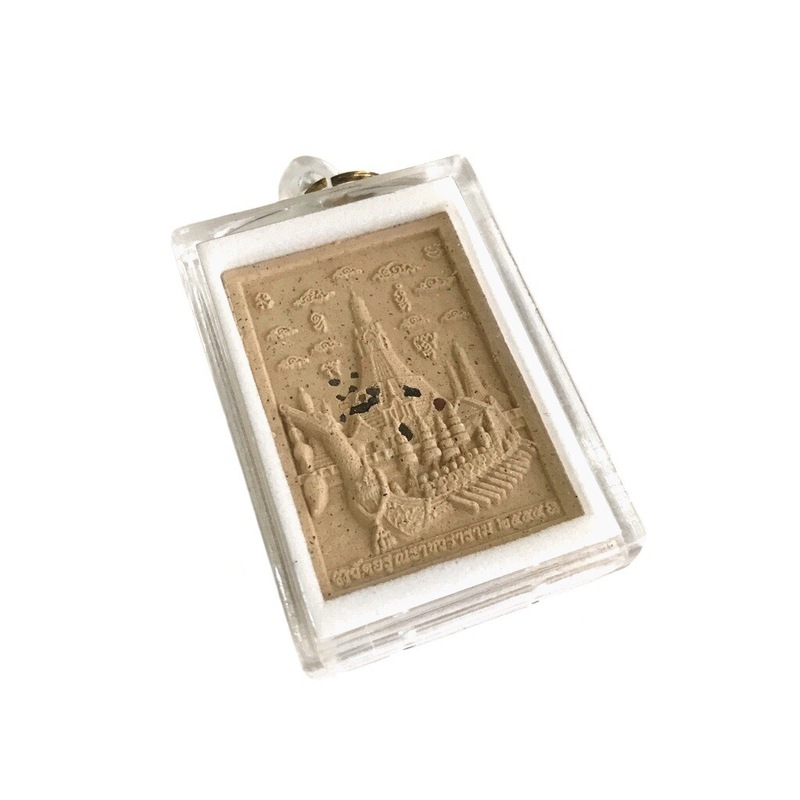 All of the five aforementioned Buddhas are depicted in this sacred powder amulet that has been consecrated by fifty-five reputable masters at the Temple of Dawn (Wat Arun Ratchawararam Ratchawaramahawihan) in Bangkok, Thailand. 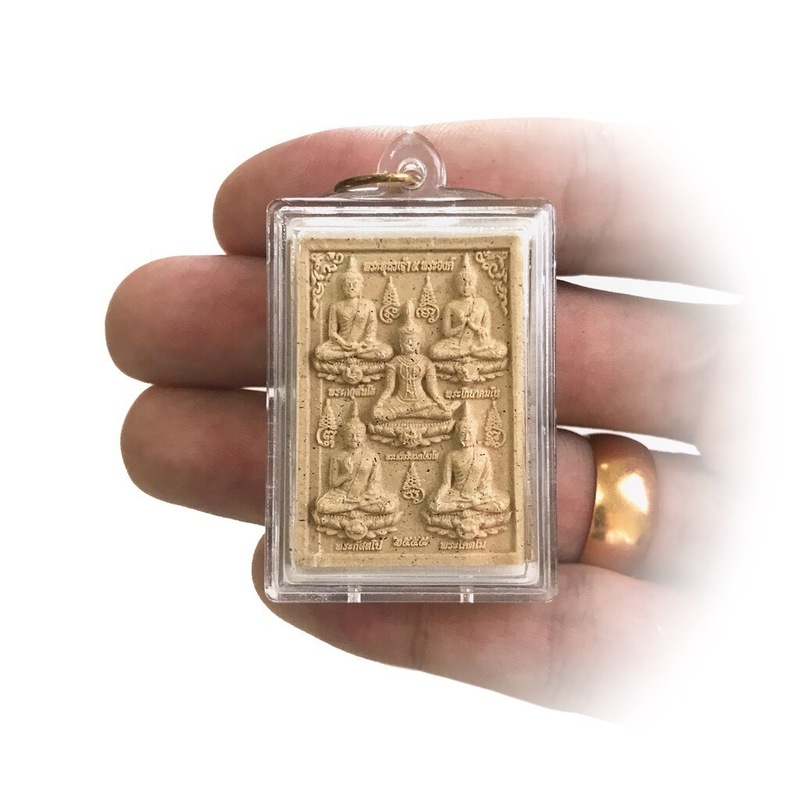 The design is based on traditional Thai Buddhist iconography, which means each individual Buddha image is accompanied with their own vehicle; these are the rooster, nāga (mythical serpent), turtle, ox, and lion, respectively. 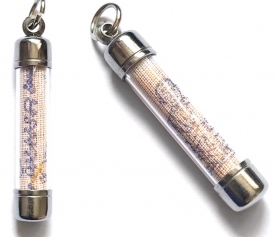 In addition, holy relics are inserted to the back of the amulet. 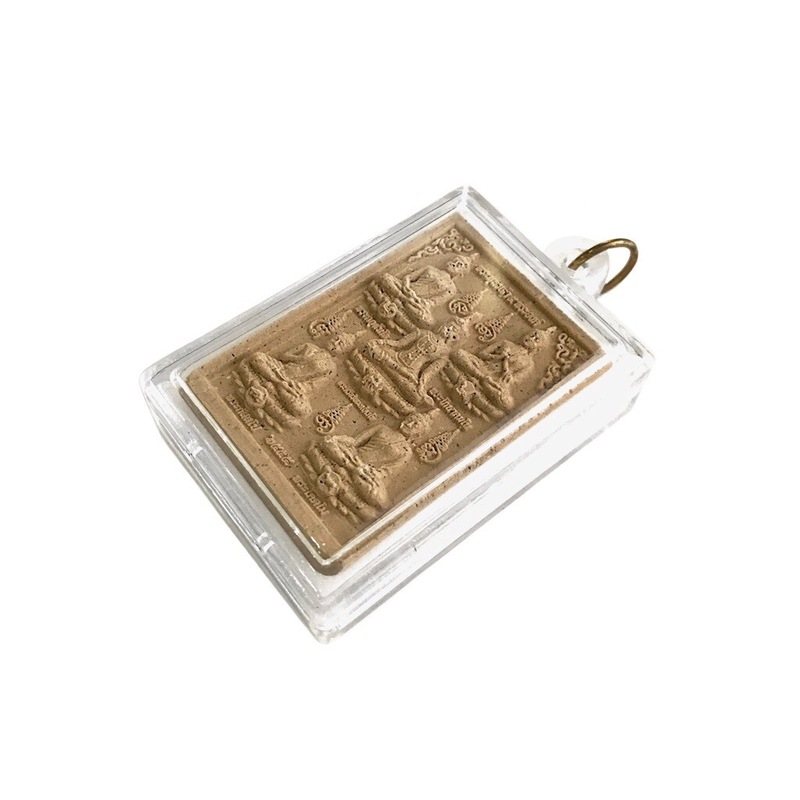 Due to the sacred materials and ingredients, as well as the mass blessing ceremony, the amulet is believed to generate most auspicious results, such as improved luck, likability, mercy, and protection. 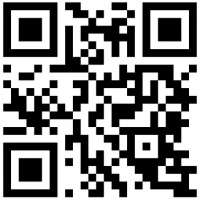 *Here the syllable ‘Na’ refers to Kakusandha; ‘Mo’ to Koṇāgamana; ‘Bud’ to Kassapa; ‘Dha’ to Gotama; and ‘Ya’ to Maitreya.